With the holidays just around the corner, it's hard to not do a post about holiday fashion that incorporates one of the most used gifting ornaments: the bow ! I was browsing the internet for ideas on how to DIY gift-wrapping without buying wrapping paper and bows to kinda break the tradition for a change. I found lots of cool ideas but I also wanted to share with you what I thought would be so nice to add to your holiday outfits. I am a fan of bows, from bow hair accessories to shoes and everything in between. I think they're so feminine and fashionable no matter your age. So, here are some of my picks for how to incorporate the bow into your holiday outfits for a festive look. 1. A statement tulle bow tied around the collar with contrast blazer. Keep make-up neutral and hair tidy & sleek for a balance look. 2. Figure hugging bow detail on a red dress with high heels, red lips, and low hair bun in a relaxed-style makes this look ultra-fem. 3. 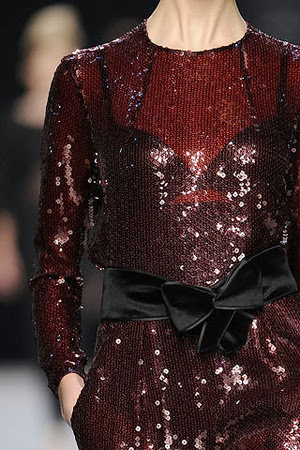 Black velvet bow belt with ox-blood sequins see-through adds unexpected texture balance and shape. 4. A large statement patterned bow belt over a solid gold-sheen blazer and patterned pants. Paired with pearl statement necklace and soft neckline voluminous hair for a retro look. 5. Medium-size bow shiny gold bow belt over a neutral color formal gown + red lips+ retro long wavy hair = sophistication. 6. Add brown bow detail to the waistline with simple but well structured camel wool coat. 7. 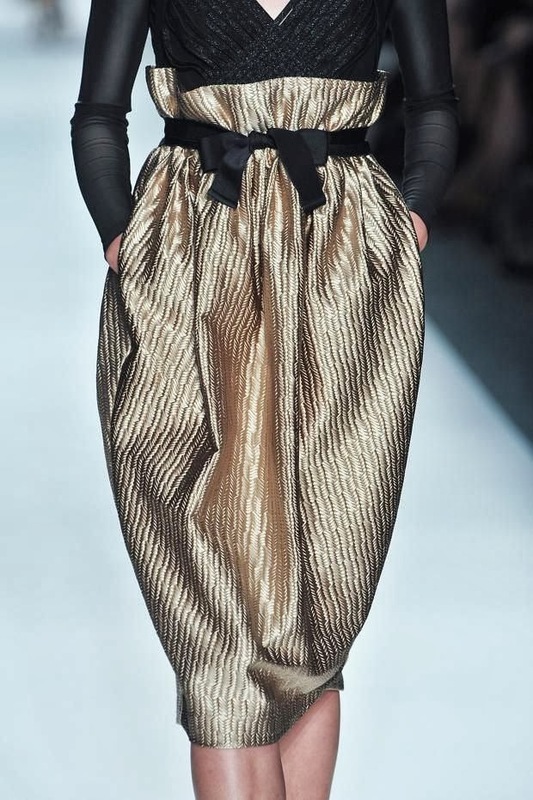 Black bow belt to contrast a high-waisted gold-pleated knee-length pencil skirt. 8. Black velvet medium-sized bow turned a champagne party dress into a red-carpet looker. 9. Thin gold bow belt with a red chiffon dress is just perfect for the holidays. 10. Black bow belt over a silver peplum top and black pencil skirt gives a more youthful & chic look. 11. Thin gold bow belt with a white feminine ruffled collar winter coat is just the perfect accessory to complement your svelte figure. Thank you, Sara. You have impeccable taste! Fantastic post! I adore bows. Hillary Swank looks fantastic. Thank You! Yay...glad I like bows, too. Why Thin Vs. Plus size Models? What's wrong with "Average Size"? © The Stylish Butterfly (2011-2018). All Rights Reserved. Powered by Blogger.